Mozilla Thunderbird is a desktop-based email application (for free), which provides complete functionalists of emails in wide range. It was developed by Mozilla foundation with the aim of rending users a freeware to manage emails on their local machine. 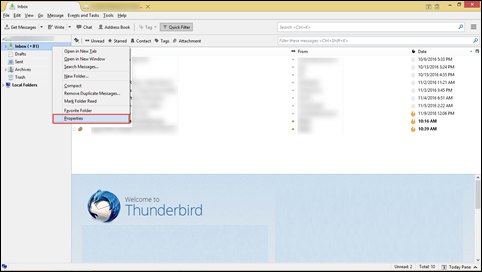 While accessing Thunderbird users may experience different kinds of errors like Thunderbird not responding, Thunderbird email not loading, unable to open attachments in Thunderbird, etc. Such type of errors occurs due to corruption in MBOX file of Thunderbird. Therefore, there is a need for a solution by which one can repair Thunderbird email folders and then recover corrupted messages. The recovered mails can be saved into PST file format so that users may not again experience email corruption in Thunderbird and manage electronic mail data in a secure manner on desktop itself. This will enable users to repair all the Thunderbird emails by simply extracting them to Outlook and accomplish their task. Create Backup of Thunderbird Data: After repairing Thunderbird corrupted emails and extracting data from it, a user can save data in some other file format (like PST). This will help users to create a copy of data on their local machine, which can later be accessed in Outlook. 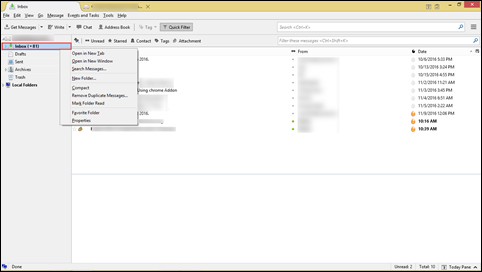 Switch From Thunderbird to Outlook: If Thunderbird users are in search for a solution by which they can move data to Outlook then, this post is going to be useful for such type of Thunderbird clients also. The solutions for the problem can be categorized in two ways i.e., manual and automated. To overcome risks, the better approach is to go for a professional and automated way i.e., MBOX to Outlook Converter. This software acts both as a recovery tool and converter. If an MBOX file is having corrupted emails in it then, it will repair those emails and recover data from it. From the same tool, you can continue your working of exporting the recovered files into PST file format. A client needs not to worry for any kinds of data loss and software guarantees that emails and its attachment will be migrated to Outlook without any modifications. 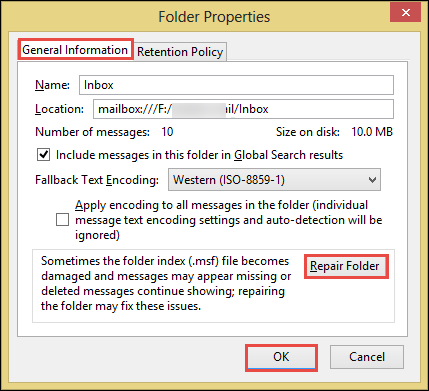 Repair Thunderbird email folders and export them into Outlook data file. Repair Thunderbird email folders and then extracting emails to Outlook is not going to be a difficult task if you are using an automated approach. It is the best-suited solution for the problem and users are recommended to use it for resolving Thunderbird errors without any hassle.